The Visitor Centre in Nixon Street, Shepparton, is your first stop for information about things to see and do, and where to stay, while in Greater Shepparton. Our friendly staff and volunteers have the expert knowledge to make your stay in the region a memorable one. The centre provides quality information and brochures on accommodation, attractions and activities in the Greater Shepparton region. The staff can also offer information on all of the tourism regions in Victoria. The staff at the centre can also help you with your accommodation requirements. The professional staff have a vast knowledge of the accommodation properties in the region and can help you make the right choice for your stay, or you can browse the Visit Shepparton website for a wide range of options. Visit Shepparton is the official tourism site for Shepparton, Mooroopna, Tatura, Murchison and Dookie. 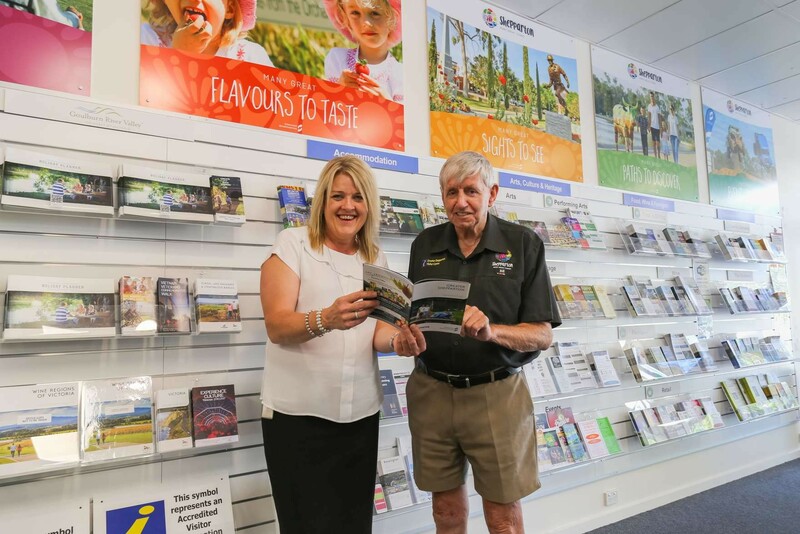 The Greater Shepparton Visitor Centre Gift Shop stocks a range of local merchandise, produce from the Goulburn Valley, Shepparton postcards, branded souvenirs, local history books, maps, and more! 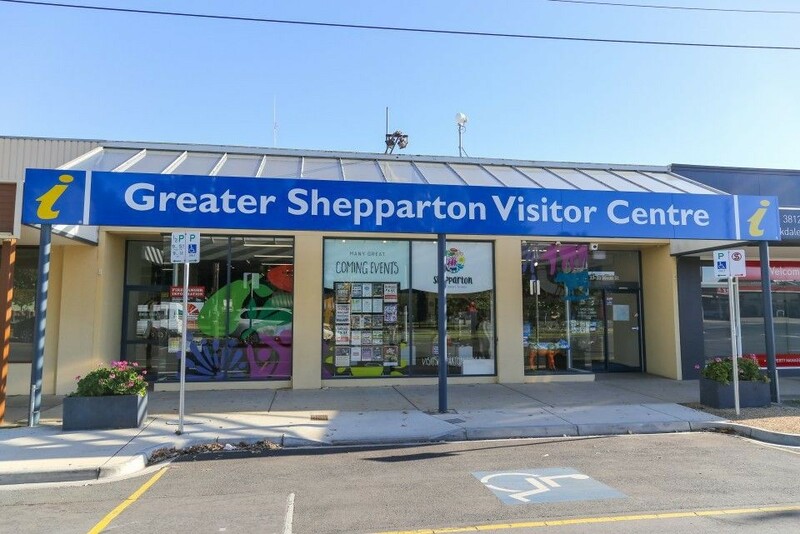 Contact the Greater Shepparton Visitor Centre for more information about what there is to see and do around the region. The Visitor Centre volunteers play an important role as ambassadors for the Greater Shepparton area. Tourism is going through an exciting growth period in the region - volunteering presents an excellent opportunity to contribute to the local community and be part of the excitement! Volunteering provides a great opportunity to share local knowledge, helping visitors to make the most of their stay. Being at the forefront of tourism activity in the region, you may be surprised to learn about the diverse attractions, activities and events which make this such a great place to visit. Volunteers participate in regular tours of the region, networking with other volunteers and tourism operators and further training opportunities. CrimCheck and Working with Children Checks will be undertaken at Council's expense prior to determining suitability. To find out more about becoming part of the welcoming team at the Greater Shepparton Visitor Centre, please visit our Volunteering Opportunities section.